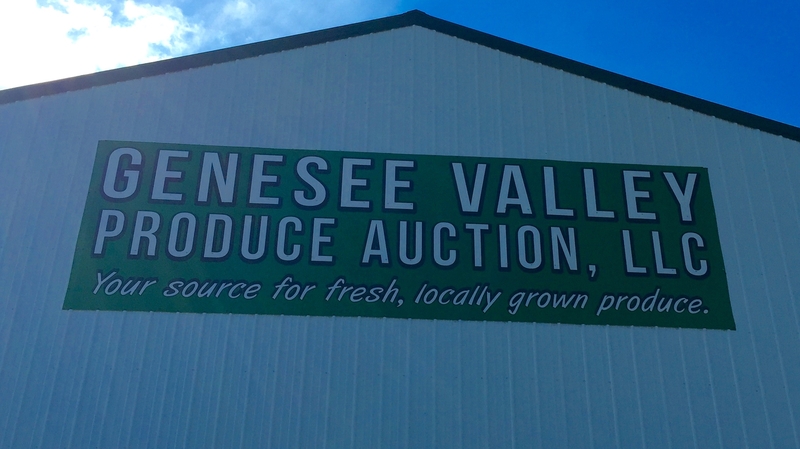 Since we wrote our last blog about the Genesee Valley Produce Auction, we have been asked, where it is, how to contact the auction, and how to get there? 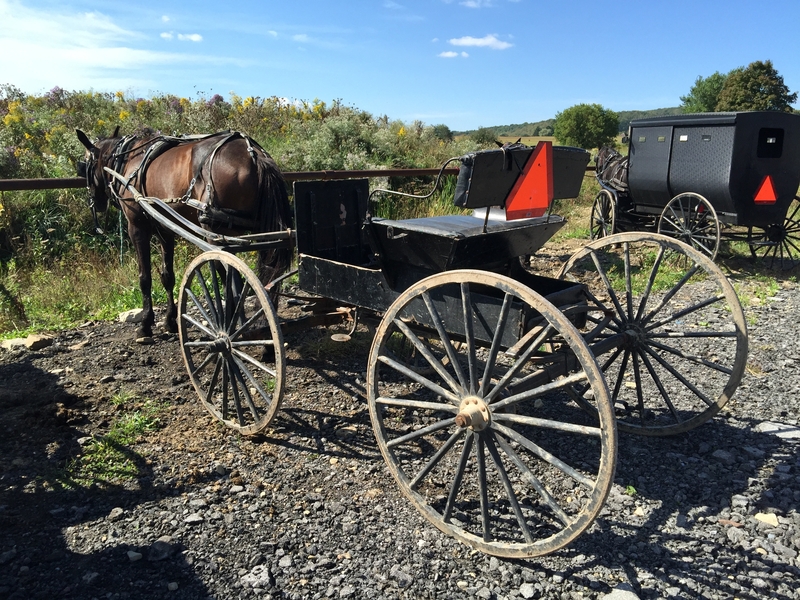 We called and verified that our information for 2016 is up to date. We hope our directions and updates help you have a great day at the auction!! 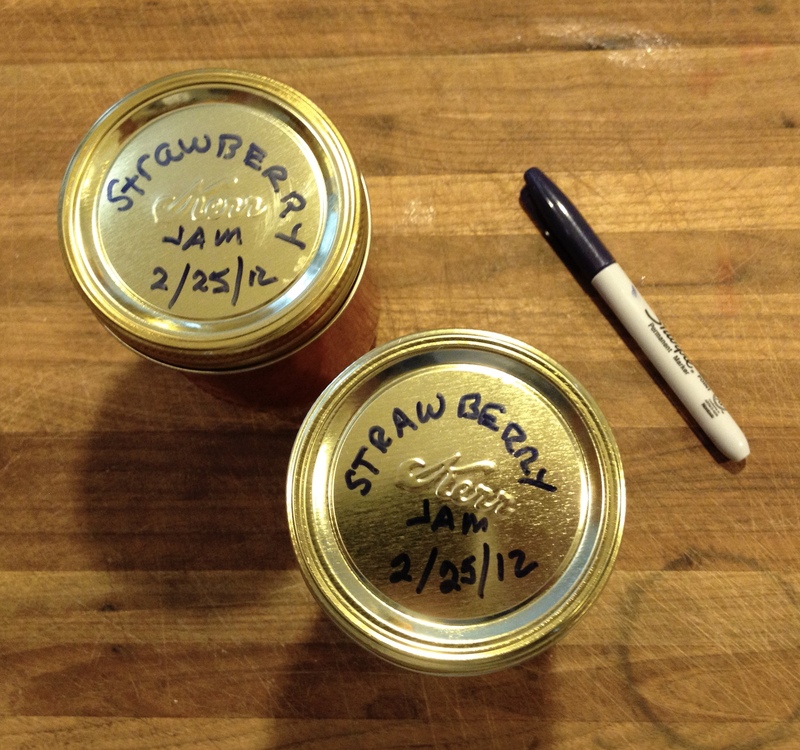 We have been making jams and jellies for many years. We like both freezer and cooked jams. 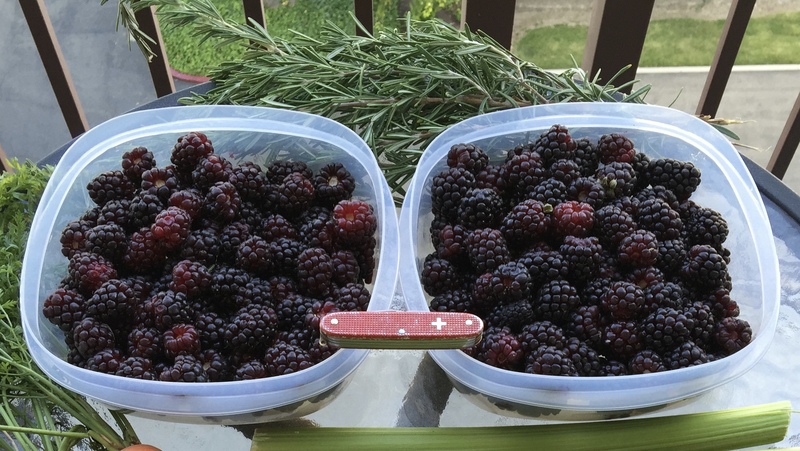 Freezer jams have a tendency to have a hight sugar content, but have a fresher flavor, closer to a fresh berry taste, since the berries have not been cooked. There are some jams we prefer as freezer jam. One of them is Strawberry. 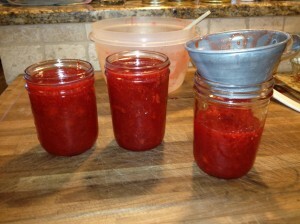 Jams can be made with frozen fruit and taste pretty much the same as being made with fresh fruit. This advantage allows you to make jam any time of the year, in small batches, as you need it! Many times frozen fruit is processed at the peak of ripeness and is sometimes of better quality than available “fresh” fruit that has been in transit for several days or weeks. Start with simple ingredients, Fresh or Frozen fruit, Sugar, and Sure-Jell. There are other pectin products beside Sure-Jell, but we have always used it successfully and have not experimented with other similar products. You will also need clean jars, lids and rings. We like the wide mouth type jar because the jar is easier to empty and clean. We prefer the Kerr® Jars, but Ball® Jars work as well. Read the Sure-Jell label for complete instructions and recommendations. Our recipe follows the Sure-Jell instructions. We have added our own photos from our kitchen. 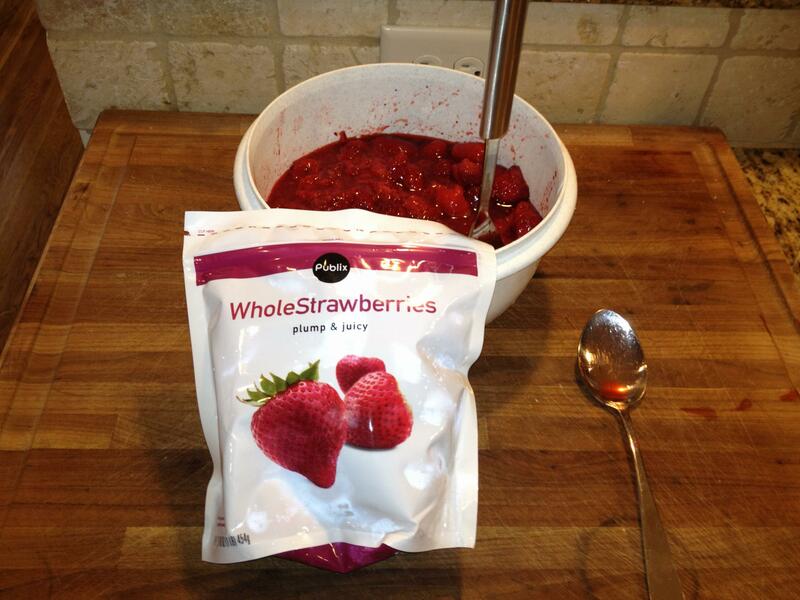 Start with fresh or thawed frozen berries! Sure-Jell helps make the jam jell!! 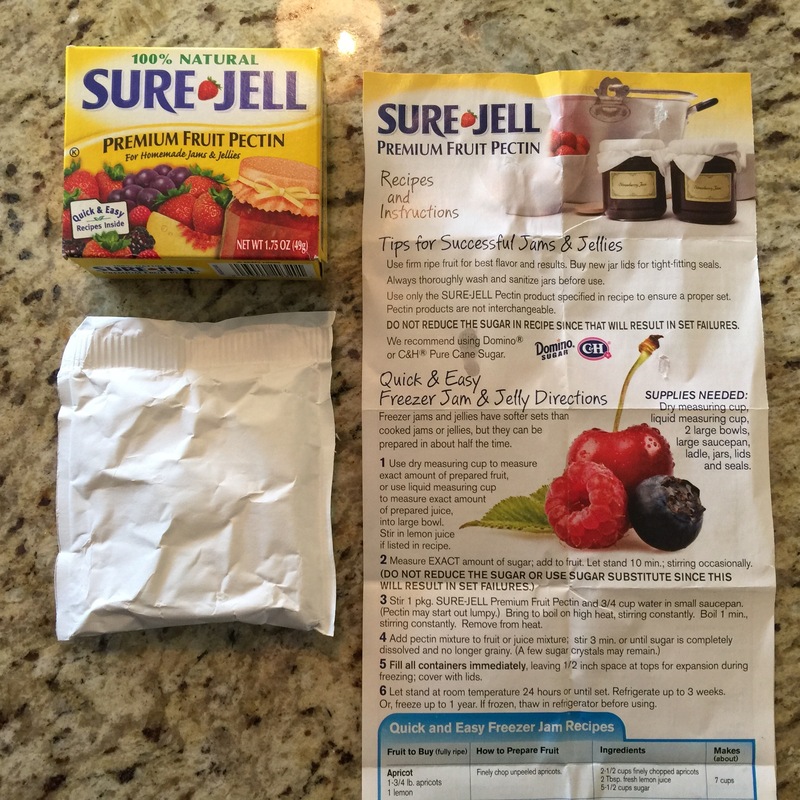 Follow the instructions for the type of jam you are making on the Sure-Jell instruction sheet, which is included in every box. The amount of fruit, sugar, and other additives (like lemon juice) is listed for each recipe. Measure the sugar in a separate bowl! 1) The first step is to prepare the fruit. 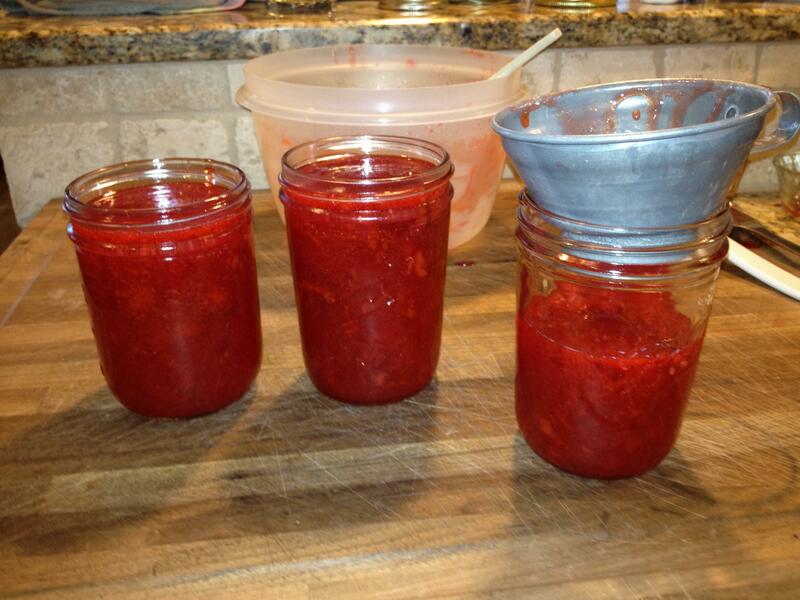 For strawberry jam, we crush the room temperature berries and measure out 2 cups of crushed berries. 2) Measure out 4 cups of granulated sugar. 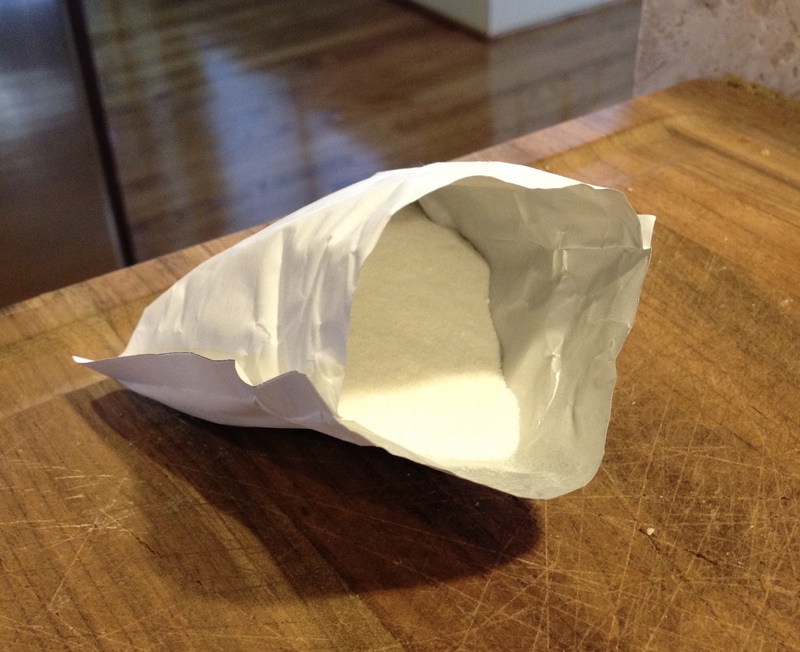 We have used both cane and beet sugar with equal results. If we have a choice we use cane sugar. 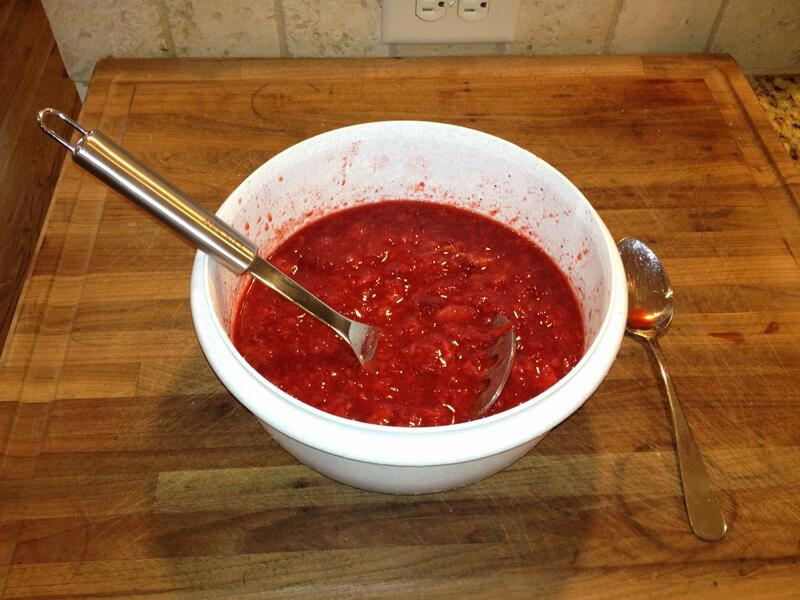 3) Combine the sugar and crushed strawberries in the bowl and let it stand for 10 minutes. This time period allows the sugar to start to dissolve in the strawberry juice and pulp. 4) Place your clean jars upside down in a water bath on medium heat to sterilize the inside of the jars. Let the water come to a boil and simmer on low heat. The water will have a tendency to fill the jars. 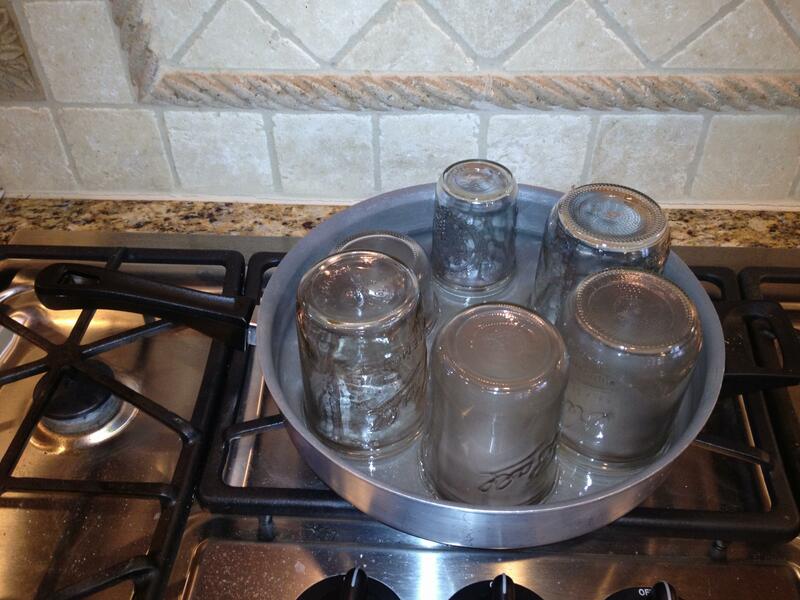 Move the jars and the water will release back into the pan. 5) Place the lids in a small sauce pan and bring to a boil on medium heat, then reduce to low heat until you are ready to seal the jars. 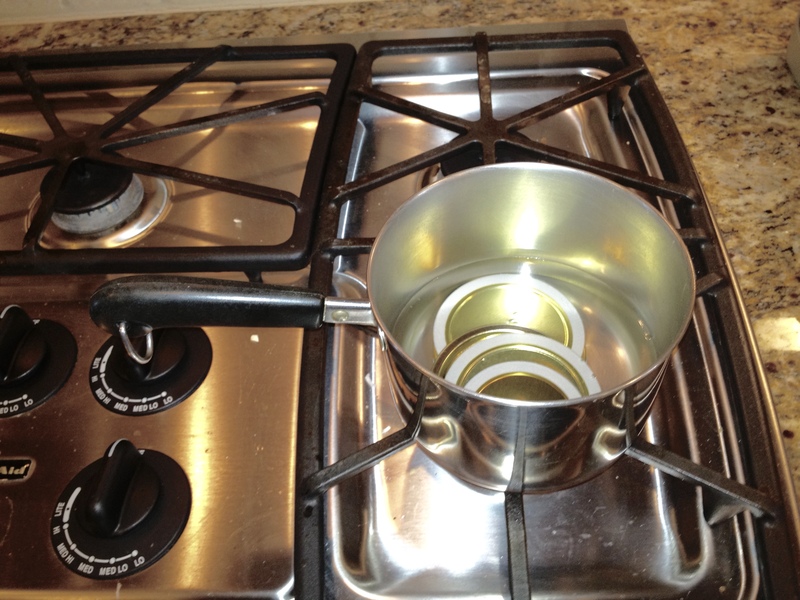 We remove the lids with tongs from the hot water. 6) Add the package of Sure-Jell to 3/4 cup of water. 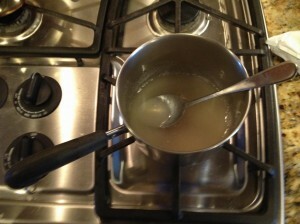 Stir in with the water quickly to remove any lumps. Bring to a full boil on high heat. Stir constantly for 1 minute and take off the heat. 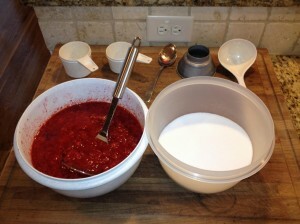 7) Pour the hot Sure-Jell mixture into the bowl of sugar and strawberries. Stir constantly for 3 minutes. Most of the sugar should be dissolved by now. Prepare to fill the containers immediately! 8) Fill the containers. Leave 1/2 inch of space at the top of each jar. The space is to allow for expansion when frozen. Cover with the lid and seal with the ring. 9) Label you jars. 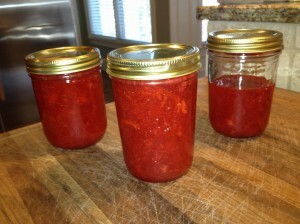 Let the jam stand at room temperature for 24 hours. Then place in the freezer. Sterilize the jars in a water bath! Let the berries and sugar set for 10 minutes! Bring the Sure-Jell and water to a boil! Disclaimers and Conclusions: Before you start to read this blog, we have a couple of disclaimers and conclusions to share. First we believe most of the amphibian eggs we have observed are Spotted Salamander eggs, unless otherwise noted. We researched every type of frog egg photo, for the frogs we have mentioned, and have concluded that they may not be properly labeled and therefore our descriptions may be in error. Since amphibian eggs are inherently similar, this is somewhat understandable. One would need to see the species lay the eggs to be certain that their conclusion is accurate, which is difficult to achieve. We decided to leave the descriptions of what we have observed and hope we will have a future opportunity to edit this blog and make updates with more accurate and interesting information. Multiple egg masses laid by how many types of amphibians? 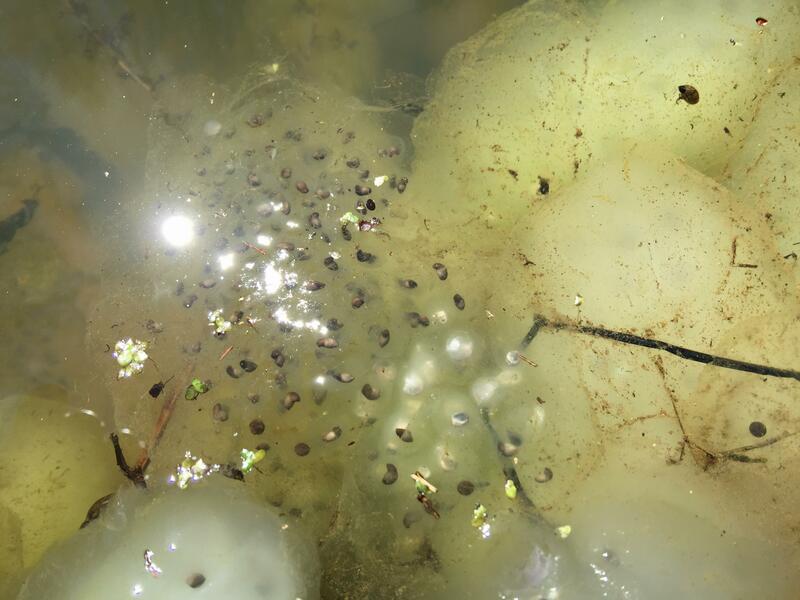 When we visited our two ponds in late April, we observed clusters of amphibian eggs, in the water. One pond is about an acre in size, has a stream running through it and is stocked with fish. The other pond is very small, spring fed, only about 30 feet in diameter and has no fish. This pond is very similar to a vernal pond, but it never goes dry. One of our first questions was what amphibians laid these eggs. We see and hear various toads, frogs, salamanders and newts from time to time, but how do you tell which eggs belong to which species? Our first action was to look up the names of the amphibians known to be in this geography of western NY state. American Toad – Anaxyrus americanus – Lay eggs from April through May, in two strands of black eggs. The black pollywogs hatch in 2-14 days. The eggs we have photographed are most likely not American toad eggs. We have lots of these toads on the property. Eastern Red Spotted Newt – Notophthalmus viridescent – breed in the water in which they live, they lay a few eggs each day in different places. So, these are not the egg masses we are observing. 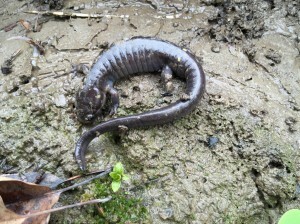 The newts and red effs are common on the property. Spotted Salamander – Ambystoma maculatum – These salamanders migrate from land to breeding ponds in late winter and early spring. These egg clusters are similar to what we have photographed. Spotted salamanders are common on the property. Bull Frog – Lithobates catesbeiana – Bull Frogs which live in and around ponds, breed in late May – July. They lay and abundance of eggs which form a thin floating sheet on the water surface near the edge of the pond. 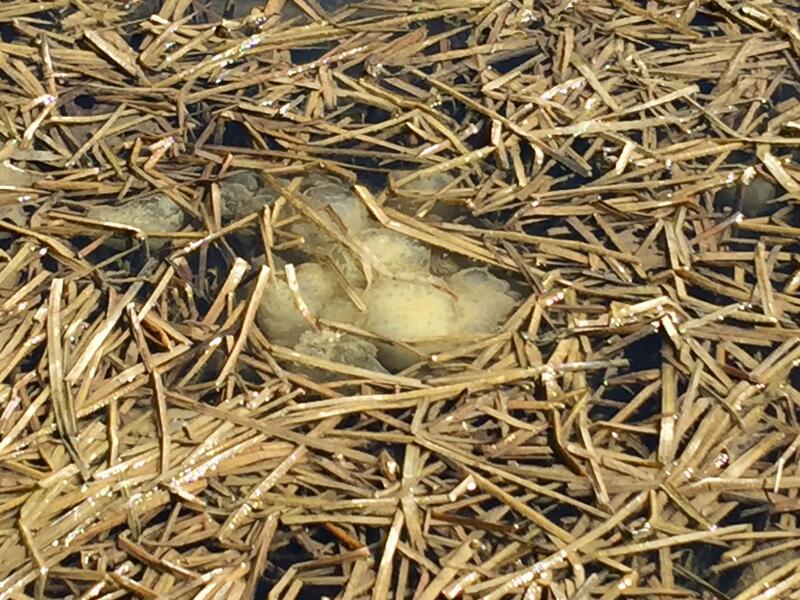 So, the eggs we are seeing are not Bull Frog eggs. Bull frogs are common on the property. Green Frog – Lithobates clamitans – Green Frogs also live in and around ponds. The frogs lay their eggs in mid April though June. The eggs are in clear masses with black eggs and are not similar to the eggs we photographed this April. Northern Leopard Frog – Lithobates pippins – Northern Leopard Frogs live near water but are seen in fields and on land in the summer. They overwinter near a non-freezing water source. 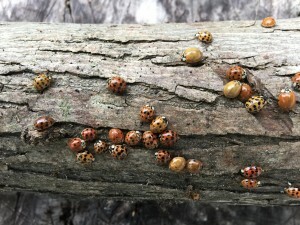 They breed from March – June. The egg masses are clear with black eggs which we did not observe in our photographs in April. We are not sure if we have Leopard frogs or Pickerel Frogs, or both, but we do have this type of frog, which we observe most often in fields in the summer. Pickerel Frog – Lithobates palustris – These frogs lay their eggs in early May. The egg masses are clear with black eggs which we did not observe in our photographs in April. We are not sure if we have Leopard frogs or Pickerel Frogs, or both, but we do have this type of frog, which we observe most often in fields in the summer. Wood Frog – Lithobates sylvaticus – These frogs lay their eggs in March and April in smaller clusters. These frogs hatch very quickly and look very similar to toad tadpoles. 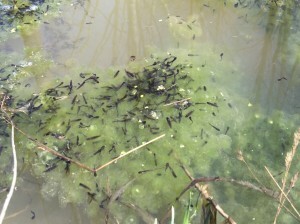 In our photo of the black tadpoles are most likely wood frogs. Though seldom seen, we do have Wood Frogs on the property. Gray Tree frog – Hyla versicolor – These frogs lay eggs between April and August. 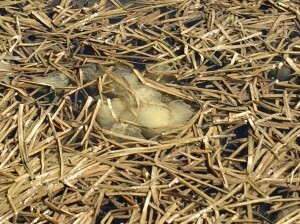 The eggs are laid in floating masses of about 40 eggs, although the female will lay up to 2000 eggs. We do not see this type of egg in our photos. We do not know if we have this type of frog? Northern spring peepers – Pseudacris crucifer – Lay their eggs March to June. They prefer to lay clusters of up to 1000 eggs which they hide on the pond bottom under debris. However if the water pool is shallow they may be laid closer to the surface where they are in clear masses with lots of black eggs. We do not believe our photos show Spring Peeper eggs. We hear these frogs but they are seldom seen. Western chorus frog – Pseudacris triseriata – Lays up to 1500 eggs in masses of 20 to 300 eggs from March through May. We could not find a photo of Western Chorus Frog eggs to compare with the other frogs. We are guessing the egg masses are clear with black eggs, similar to the other frogs, and assume we have not photographed this type of egg cluster. We do not know if we have this type of frog? The life cycle of amphibians is one of the wonders of life. Amphibians can be observed almost year around except for the dead of winter. It is amazing how some species brave the cold, variable weather of March and April to seek out a small body of water to reproduce. Boysenberries bloom over about a month in the spring and the berries ripen over about the same period of time unless there is a sharp increase in temperatures, which will make the berries ripen quicker. The berries gradually change from green to pink, then red, deeper red, purple and then almost black. 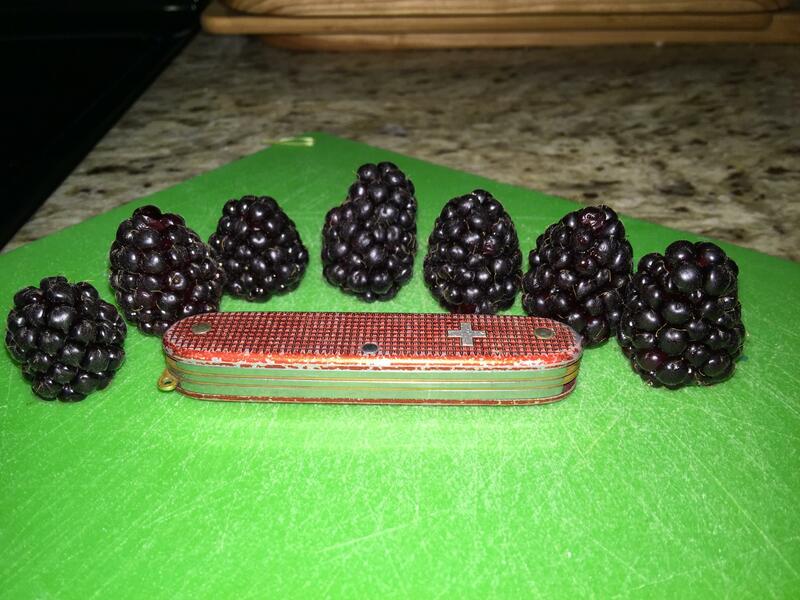 The berries have druplets like a raspberry, but have a core similar to a blackberry. 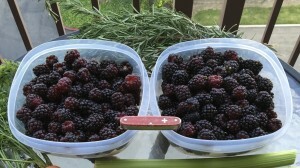 The berries are sweetest and most flavorful when completely ripe. If picked when they are a deep purple, they still have a good flavor and are a little more tart. Fully ripe boysenberries are very large, juicy and flavorful!! We pruned the fruiting canes last summer so they cascade from the top of the trellis down to the ground. 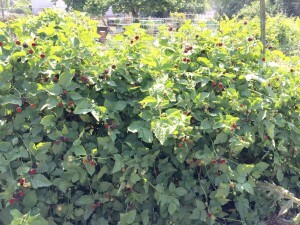 We have a combination of fabric and mulch at the base of the plants to keep the berries from getting soiled. There are two drip irrigation lines at the base of the boysenberry canes since these plants have the potential to dry out. Because the plants are large and lush, we give them double the water when we irrigate. 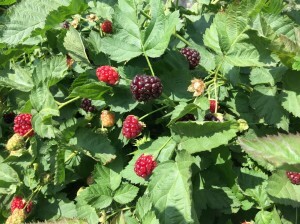 The extra water also helps fill the berries during fruiting. 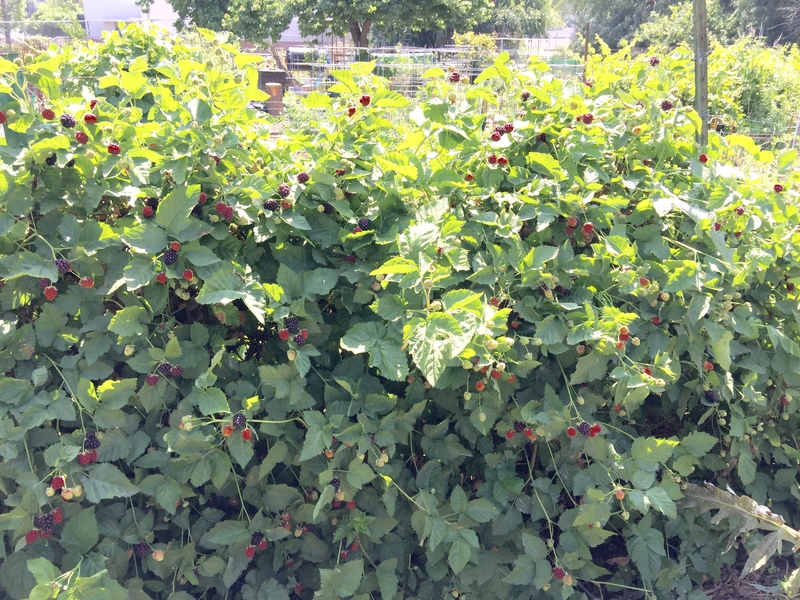 The berries should be picked in a low flat container so the berries are not “stacked” on top of each other more than 2 or 3 berries deep. This causes bruising and leakage. They do not have a long shelf life and should be eaten or preserved quickly while their quality is still high. 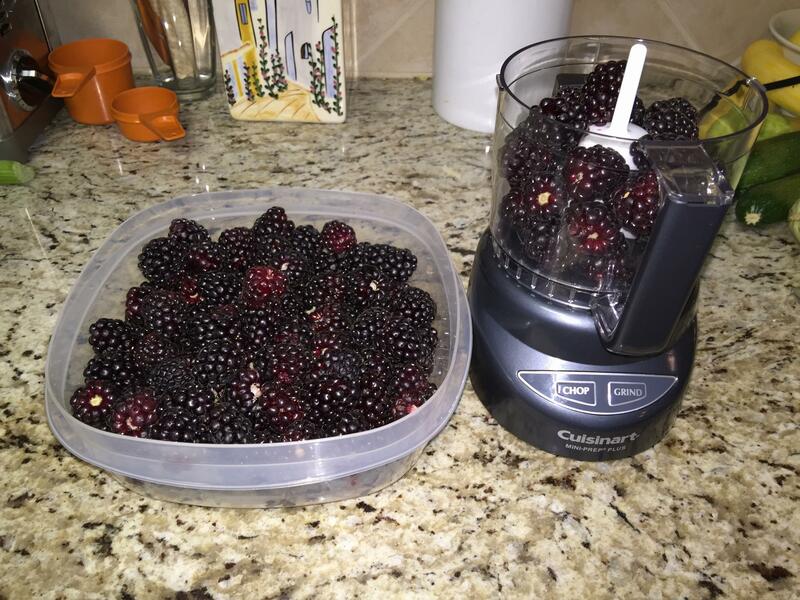 Boysenberries are rarely seen in a supermarket because they do not ship or store well. 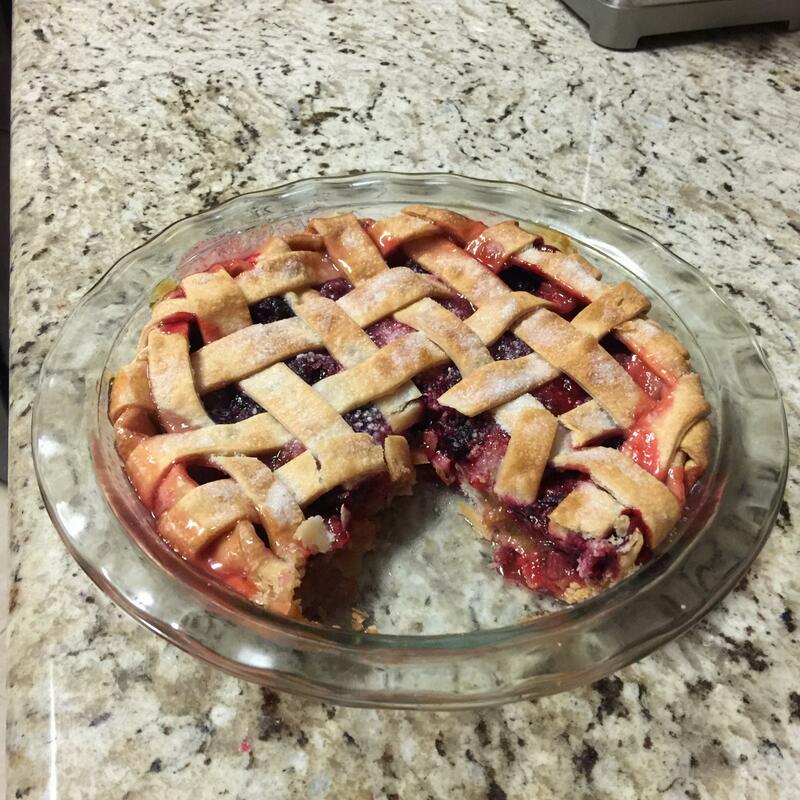 We have enjoyed our berries fresh with ice cream, made into jam, and made into pies. 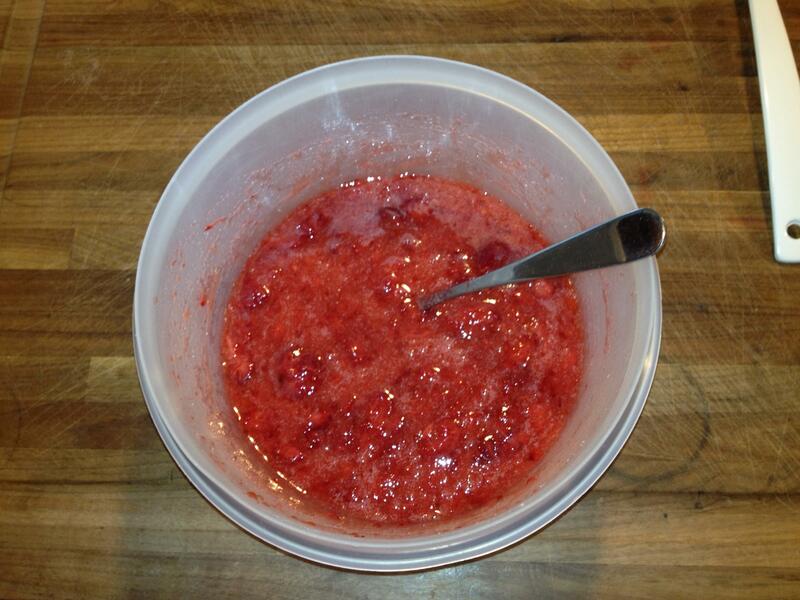 We have made both freezer jam and cooked jam using SURE-JELL fruit pectin. The jam and jelly recipes are in the SURE-JELL box. 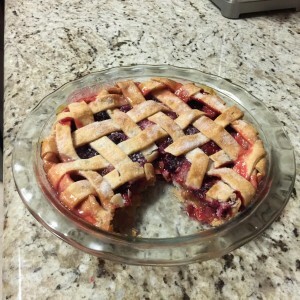 The pie we made was a Rhubarb/Boysenberry pie; exchanging one cup of rhubarb for one cup of boysenberries. We found that using a food processor to “crush” the berries worked very well. Since boysenberries have a core in the center of the berry, similar to a blackberry, it is slightly more complicated to crush the berries efficiency. The berries crush easily in the food processor in just a few moments. Signs That Spring Has Arrived!! We took a trip to southwestern western New York state during the last weeks of April and first few days of May. This year this was a cool period of time with Spring unfolding very slowly. We like this time of year because it is a time of re-birth for both plants and animals. Trees start to grow new leaves, animals like foxes are searching for food for their newborn kits, birds are arriving after overwintering further south. On our initial walk we observed at a small pond, polliwogs hatching from eggs near the waters edge. We were surprised they were already hatching since it must have been quite cold when the egg masses were laid. 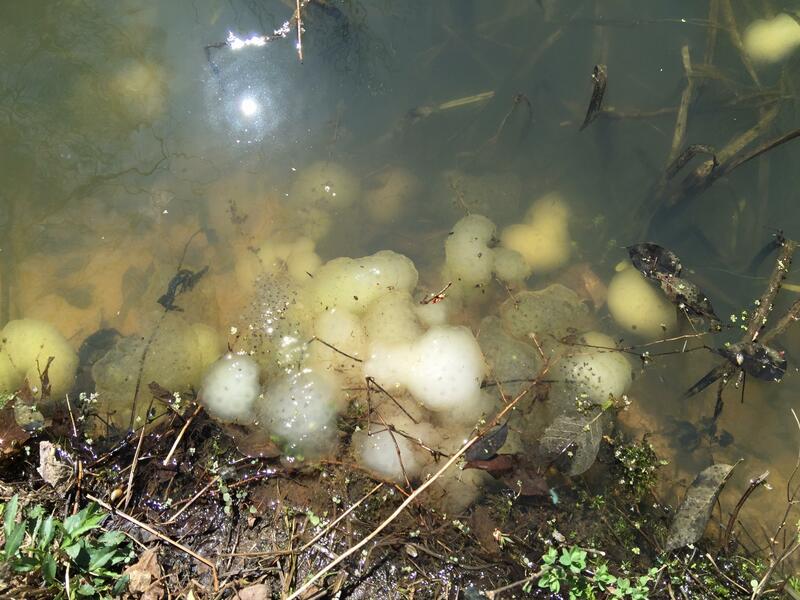 The egg masses could be from frogs, toads, or the eastern newt. We took some of the eggs and placed them in a large jar in the kitchen to watch some of them hatch. 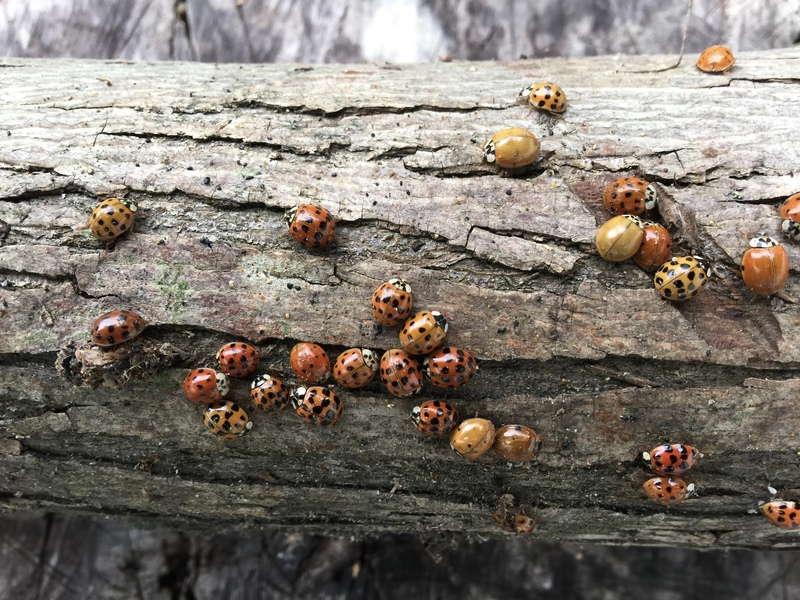 On our porch in the stacked firewood, each year ladybugs find a way inside to overwinter in the protection of the porch and the stacked wood. When the warmth of the sun awakens them in the spring they seem to have entered a maze and cannot find their way out. Notice all the differences in color and spot configuration. 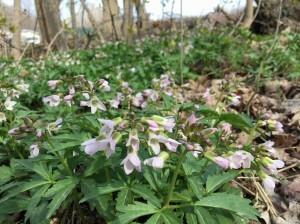 When we walk into the woods, we find several spring flowers, that have emerged from the cold soil and are now blooming. Sometimes these plants will grow right through the layer of dead tree leaves that fell last Autumn. We have both the white trilliums and red trilliums growing in our woods. 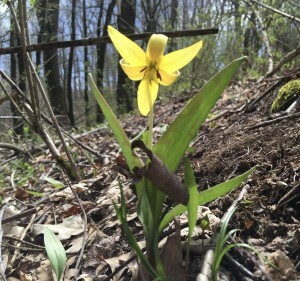 The flowers are scattered randomly throughout the woods. 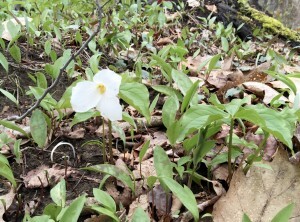 There is one place where there is a large group of white trilliums which is quite spectacular, if you can be there during the very short period of time when they bloom. In our woods, only about one out of 10 trilliums is a red trillium. The Slender Tooth Wort is a much smaller flower but is also beautiful if you can get down on your hands and knees and take a closer look! 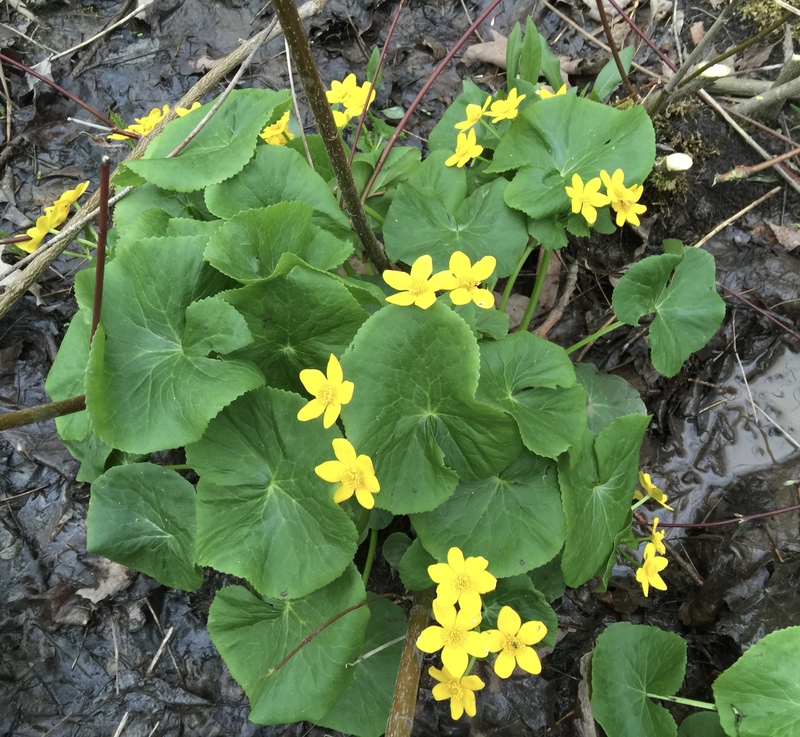 In wet areas grow different flowers. One is the Marsh Marigold. 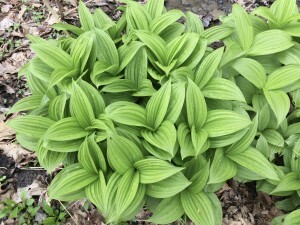 Another is the False Hellebore. Although the False Hellebore has not yet bloomed, the leaves and foliage are quite beautiful as they begin to grow in the early spring. This plant is very poisonous if eaten! Salamanders and snakes overwinter under rocks, logs and in this case, a discarded automobile tire. As the soil temperatures rise, they will become more active. 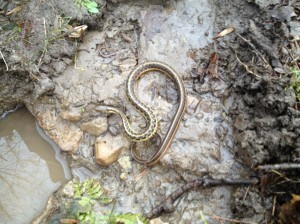 Snakes and amphibians are cold blooded and move slowly when it is cold. 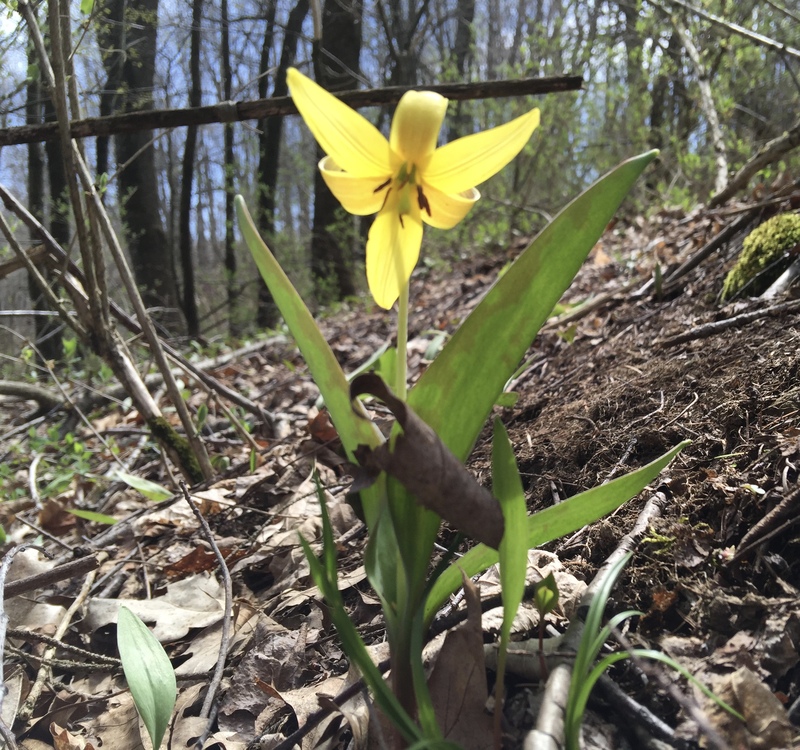 A few years ago, also in April, we lifted a rock where a spring was coming out of a hillside. 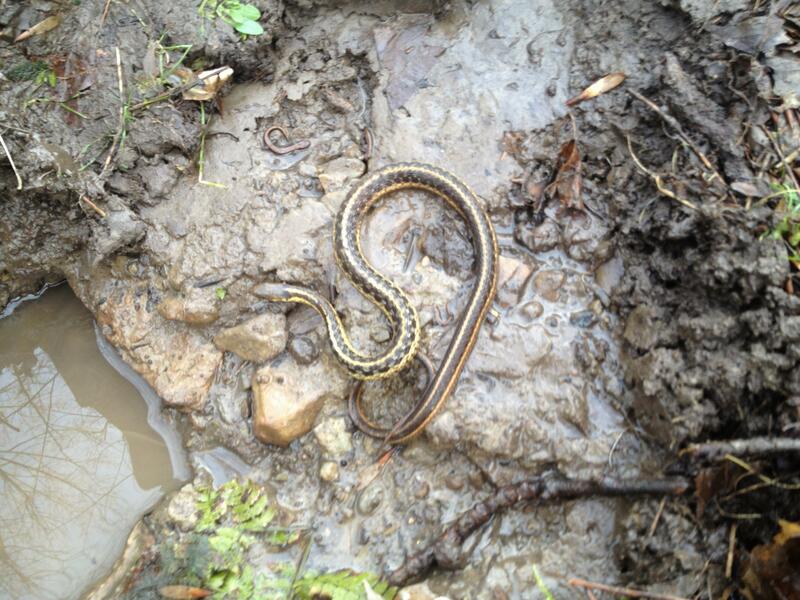 When we did, we encountered a Garter Snake (genus Thamnophis) and a Red-Backed Salamander (Plethodon cinereous). We often wondered how long it takes a Robin to build it’s nest. 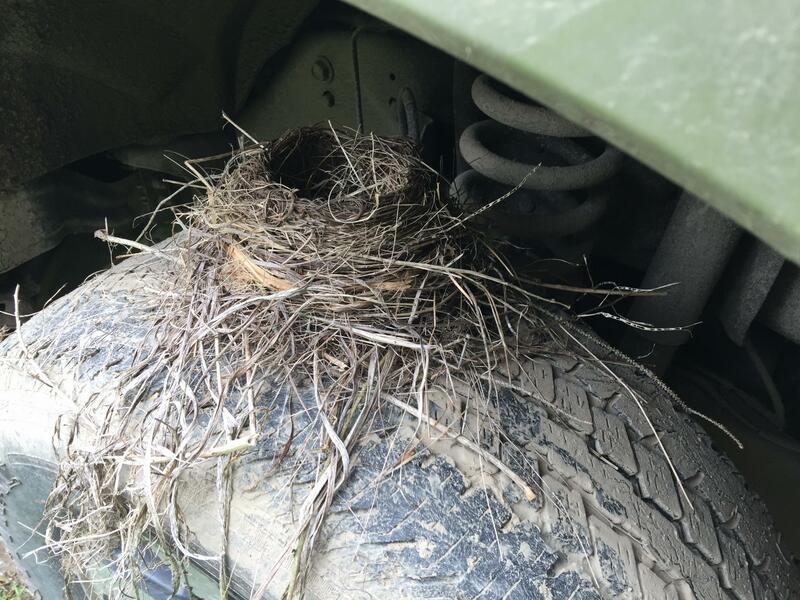 We noticed a robin starting to build a nest very early in the morning on our truck tire. By 7:00 that night the robin had finished and was sitting in the nest. That seemed pretty quick to us! Robin’s nest on a parked truck tire! The hay fields that are used to feed local dairy cows are also beginning to green up. 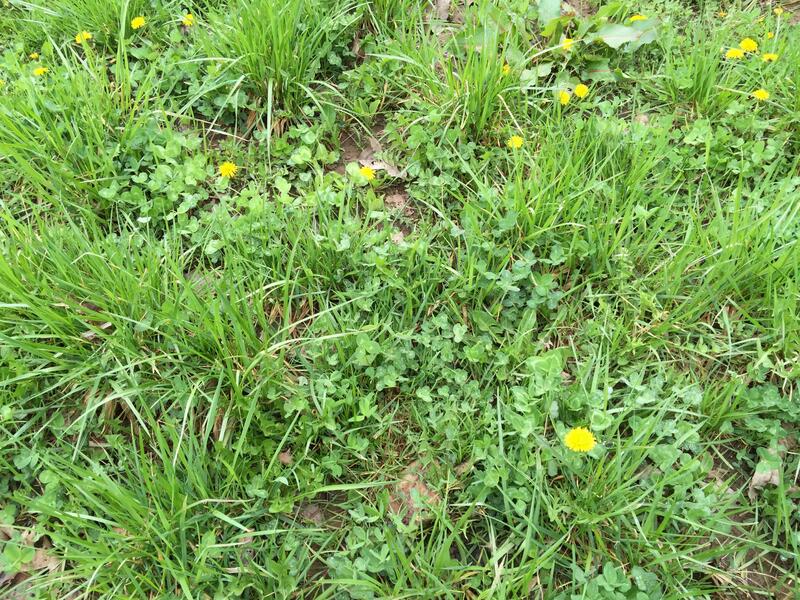 The grasses have grown several inches tall, the clover is leafing out and dandelions are just starting to flower. 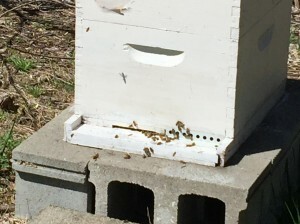 The dandelions are a good source of early season pollen to feed honeybee larvae which are developing in our honeybee hive. 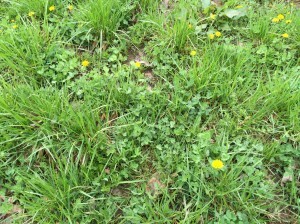 Grass, Clover and Dandelions starting to grow!! The entrance to the honeybee hive is reduced in the fall to keep out cold winds and uninvited mice! 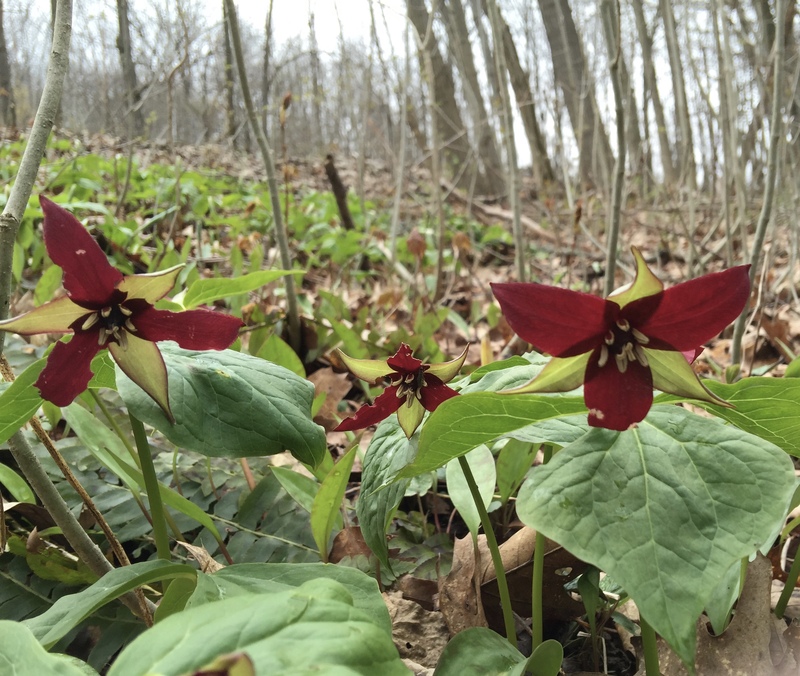 Early Spring is a great time to put on your jacket, and go exploring to see what you can see. You may be amazed! !